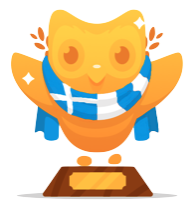 After being inspired by StrapsOption and his discussion "Duo goes to Malta" (https://www.duolingo.com/comment/4365182) I decided to make the same discussion,but for Greek, which is my mother tongue!!! First of all, I want to thank StrapsOption for his precious help for the pictures. 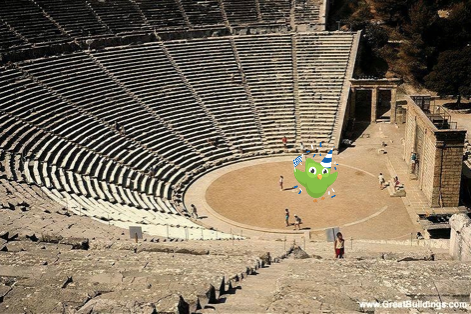 First of all, duo went to the most famous monument of Greece, the Parthenon. In Greek it is written Παρθενώνας and it is pronounced "Parthenonas". Parthenonas is the main building of the Acropolis. 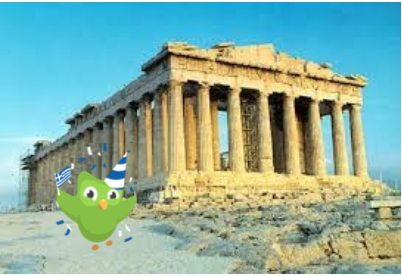 Ancient Greek people used to build a temple and some state buildings on the highest hill of the city, which was called Acropolis (Ἀκρόπολις in ancient Greek and Ακρόπολη in modern Greek, which come from the words άκρο (limit) + πόλη (city, in ancient Greek it used to be πόλις). From the hill of Acropolis you can see the whole city of Athens!!! Then, he went to the Acropolis museum. This museum opened to the public in 2009, and it is considered as one of the most beautiful museums of the world. From its terrace you can see the Acropolis hill. There is also a bookstore and a café, but the most important thing are all those impressing exhibits from ancient Greek that duo found there!!! 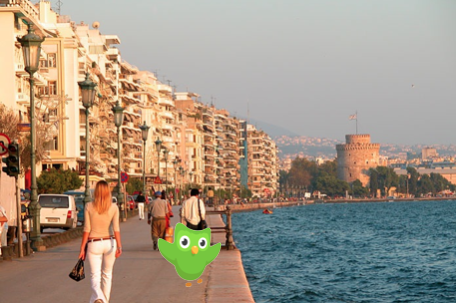 After his visit at the Acropolis museum, duo went to a city called Nafplio (Ναύπλιο). Nafplio used to be the capital of Greece before it was transfered to Athens. After a very tiring day, he went to spend his night on an island called Santorini. 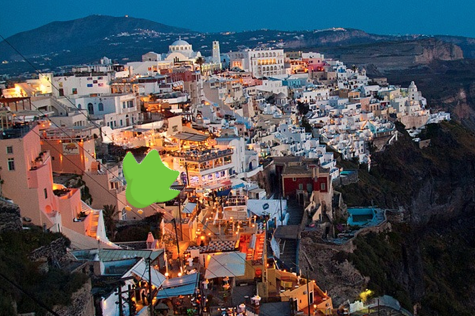 Santorini is an island of Cyclades (a group of islands at the Aegean sea). Near to Santorini, there is a volcano which had exploded some thousand years before and due to this explosion, two kingdoms in ancient Greece, the Cycladian and the Minoan disappeared forever... Scientists say that the volcano will explode again, but nobody can guess when it will happen. Until then, Santorini (or Thera) is one of the main tourist destinations of Greece. 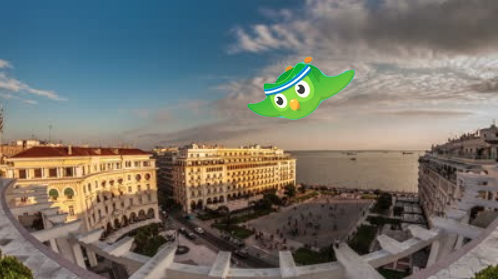 After Epidavros, the duolingo owl flew to Thessaloniki. Thessaloniki is the second largest city of Greece after Athens and the most important commercial and financial centre of northern Greece. This square that you see on the photo is the Aristotle's square, a long square with many shops and cafés where many young people hang out. This square took its name from Aristotelis, a very famous Greek philosopher of the Antiquity. The university of the city also took his name, it is called the Aristototle University of Thessaloniki and it is a high ranked university of Greece. Another famous street of this city with a lots of shops is Tsimiski. 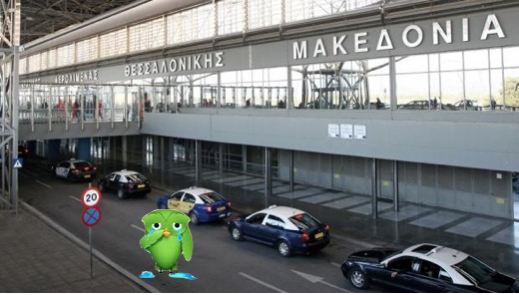 And here's duo, who after having spent two whole days in Greece, is in front of the airport of Thessaloniki, ready to come back to the USA. When duo came back, he decided to make a Greek course, and after months of waiting, we finally saw the Greek course jumping on beta in the incubator!!! 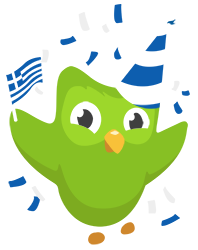 Duolingo, please add modern Greek soon!!! 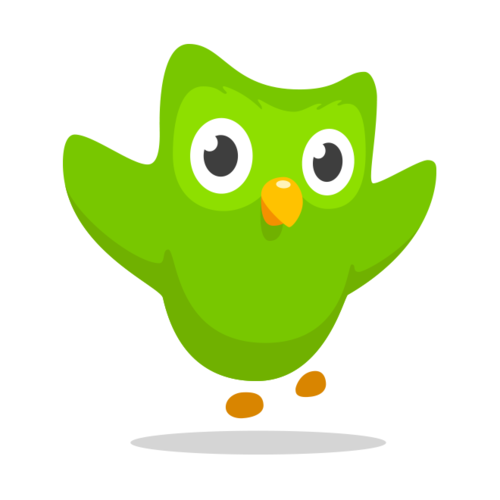 This was really good I hope Duolingo adds Greek soon it would be great to learn. My name's Persephone and I always get people asking me if I'm Greek so it would be great to actually be able to speak a little bit! 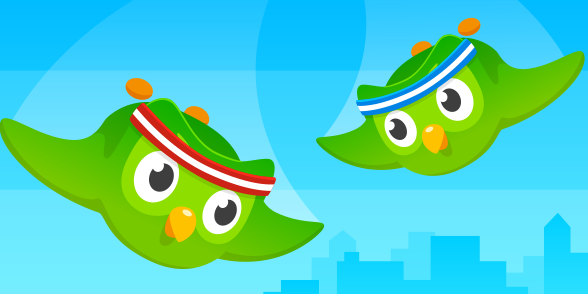 Is Duo a friend of Athena? The owl is her sacred bird. That golden greek owl looks cool. That's fantastic, you have done the original plenty of justice. Greek is an essential language and has my full support. I could start a 'Duo goes...' series out of this - people could make these for the language they want added! Oh , sorry, that makes sense. Well, I would be delighted to have that, but you would have to make it. I could supply the pictures if you like. Just post me a few urls of Duo and of Catalan landmarks and I'll make the pictures for you! If you have any time for this, thanks very much! I'll add more descriptions of each landmark in the actual post. If you wanted to do that, I could post a directory for the budding series! Great, I'll get to work right away! Cool! Greek is definitely a language that I will learn, and Greece is a beautiful country... Love this post! I would love to learn Greek! I taught myself Cyrillic over the summer and I can recognize some Greek letters, so it's nice having a head start on the alphabet. 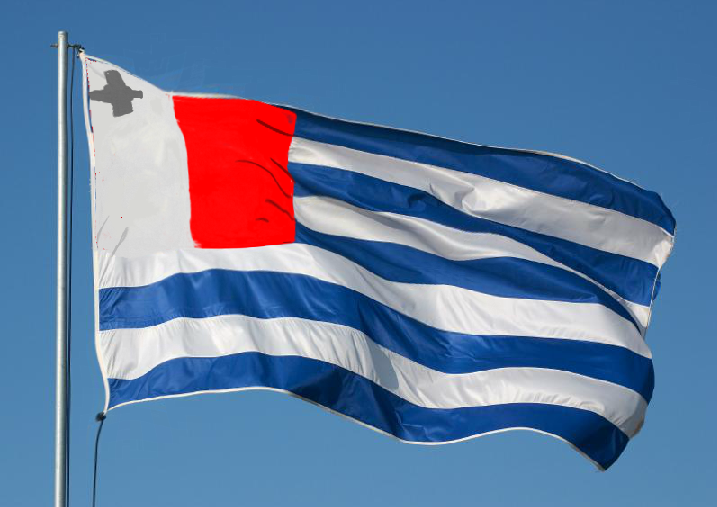 Also, I'm not trying to correct you or anything, you're Greek so you should know what's correct, but I thought that (this is what I learned in my World History class) that the Minoans were not completely wiped out by the eruption, and the ones that survived migrated to mainland Greece and settled there. Yes,this is correct, but most people died and those who survived and migrated to mainland Greece were mistreated by the local people who lived there. Just like modern emigrants of Greece? The Cyrillic alphabet was derived from the Byzantine Greek alphabet. A few of the letters that aren't in Greek were derived from Hebrew. Not all the Minoans left the island. Some did stay and they rebuilt to some extent. Θεσσαλονίκη - My favourite city! Very nice work! The reverse course is out I think, once it graduates from Beta it could be considered. But according to the recent Reddit thing, Duolingo doesn't have enough Bandwidth to support any new languages. it took me a good eleven minutes trying to understand what you typed in greek. Yes, they should add Greek. It's my favorite language. An upvote and a few lingots for you panagiotis. I hope to see your wish come true! Oh, the photos are fantastic and bring back such warm memories. Thank you. I disagree with ΑΠΘ being the best university in Greece. It's got to be the Politechnion, in athens. Those studies can be quite biased and often criteria is defined in order to favor certain universities. Very often they are heavily based on several research quality indicators, simply because these are easier parameters to measure. Quality of education is however much harder to measure. A university with good research is not necessarily a university with good education, although the first might influence somewhat the latter. So I wouldn't recommend anyone to base the decision on which university to study in based on this kind of studies or rankings. It is known that there are universities that try at all costs to improve their positions in rankings of the kind (such as the Shanghai rankings) by working towards improving the measured parameters, without honestly caring about improving. 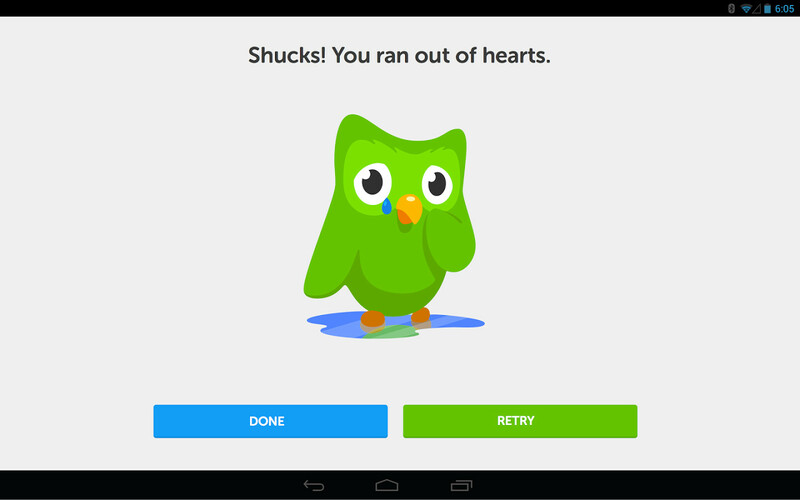 It would be like caring more about collecting XP points in Duolingo than about actually learning a language. Nice post! Also, the Eng - Gre course seems to be getting along well. Must be around 10%-ish now; won't be long before it appears on the main page and not just on the incubator. How I wish you were right! It seems to be stuck, lots of promises but so far little progress. I feel bad complaining, I know you are all volunteers but please please can we have it soon. TBH tho, I was right; it did crop up on the main page soon after. And yes, whilst the last hurdle is taking a while to clear, it's actually going very quickly compared to many other languages.